Logaras lies next to Piso Livadi; you can even swim across or just walk to it. It is less that 5 min walk. 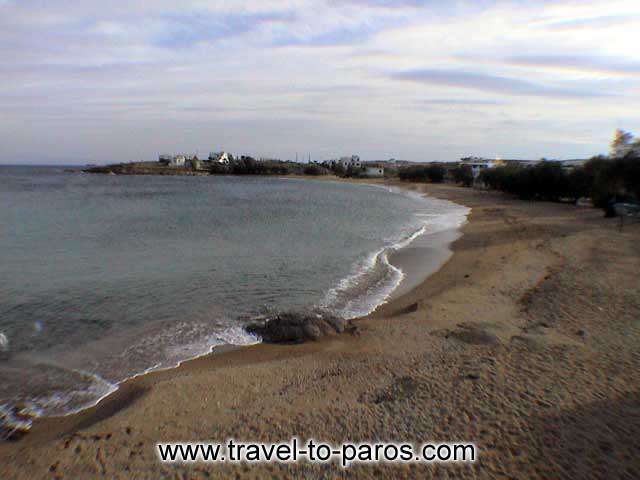 It is one of the most beautiful beaches of Paros with a very long sandy beach, awarded with the blue flag. As you go into the water it becomes suddenly much deeper and it should not surprise you. 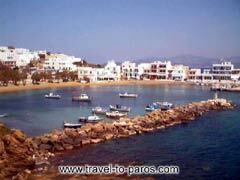 Logaras is also the summer time suburb of Marpissa, and nobody lives there during winter. In the summer though the picture is completely different. 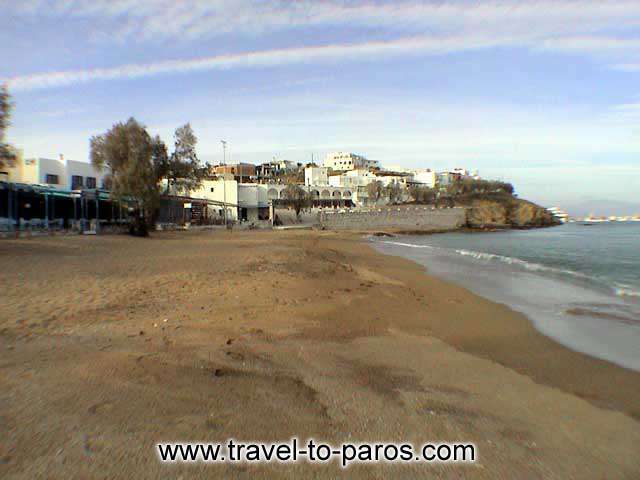 The beach is surrounded by nice restaurants, small hotels and other self catering accommodation. A nice choice for families. You should visit the church of Agios Antonios, at the top of the hill, above Marpissa village. It offers a unique view of practically all the Cyclades islands.